This post is authored by John ‘JG’ Chirapurath, General Manager, Azure Data. Since SQL Server 2017 on Linux was made generally available on October 2, 2017, we have seen tremendous growth in adoption. We’ve had ~ 5 million Docker pulls for SQL Server 2017 on Linux and are seeing strong affinity with our customers who are on other database systems running on Linux as well as customers consolidating on Linux as their operating system. Additionally, we’ve had a great response from the open source developer community. In the path forward to deliver choice, today Microsoft and SUSE are announcing some great offers for our mutual customers both on-premises and on Azure to adopt SQL Server 2017 on Linux as their database of choice. Microsoft and SUSE have a decade long relationship, powering enterprises focused on interoperability and high-performance solutions. With SQL Server 2017 running on SUSE Enterprise Linux Server, we are bringing the most cost-effective path for our customers. If you combine the industry-leading database with the Enterprise Linux OS supporting Persistent Memory that can turbo-charge your analytics performance, you are looking at a winning combination for all your high-performance workloads. Recently, Microsoft, SUSE, and HPE announced a new record-setting performance benchmark thanks to Persistent Memory support in SUSE Linux Enterprise Server 12SP3. HPE’s new world record 1TB TPC-H benchmark result showcases the first enterprise-class “diskless database” leveraging persistent memory and the ability to deliver > 5x performance on analytic queries directly against storage at up to 50 percent of the cost. This incredible price/performance is achieved by combining the power of SQL Server 2017, HPE’s scalable persistent memory, and SUSE Linux Enterprise 12 SP3 Persistent Memory Support. Customers can receive all the benefits of SQL Server 2017 running on SUSE Enterprise Linux Server with limited time pricing offers to help with upgrades and migrations. For a limited time, SUSE is offering customers a self-service promotional code to drive cost savings for SQL Server on SUSE Linux providing a 100% discount on the software cost of SUSE Linux Enterprise Server 12SP3 including free patches and maintenance for 1 year – qualified customers are also eligible for up to 100% discount on 24×7 or 12×5 phone support by working with a SUSE sales rep. Avail the offer through SUSE’s self-service portal. Microsoft is also offering discounted SQL Server Licenses to lower your TCO even further. Customers can avail up to 30% off SQL Server 2017 through an annual subscription. Customers can get enterprise features for their Linux workloads, backed by Microsoft security and support. Please check out our page to learn more about the offer. In addition to discounts on SQL Server and SUSE Enterprise Linux, all of this is backed by joint support from Microsoft and SUSE. Learn more about this offer, plus how SQL Server and SUSE work together for performance and reliability at low TCO by talking to your local SUSE or Microsoft seller today! Please download the brochure to learn more about the joint offer. 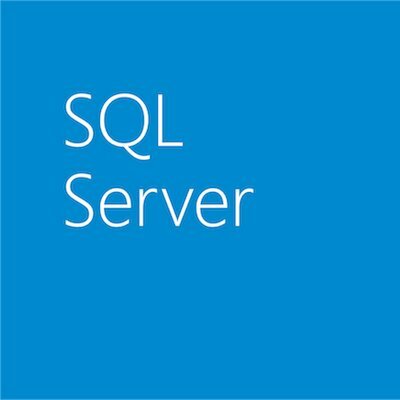 Want to build an app using SQL Server? Get started with SQL Server on macOS, Linux and Windows today!